A contract has been signed to built an AV room and a science lab at Haa Alifu atoll Thuraakunu. 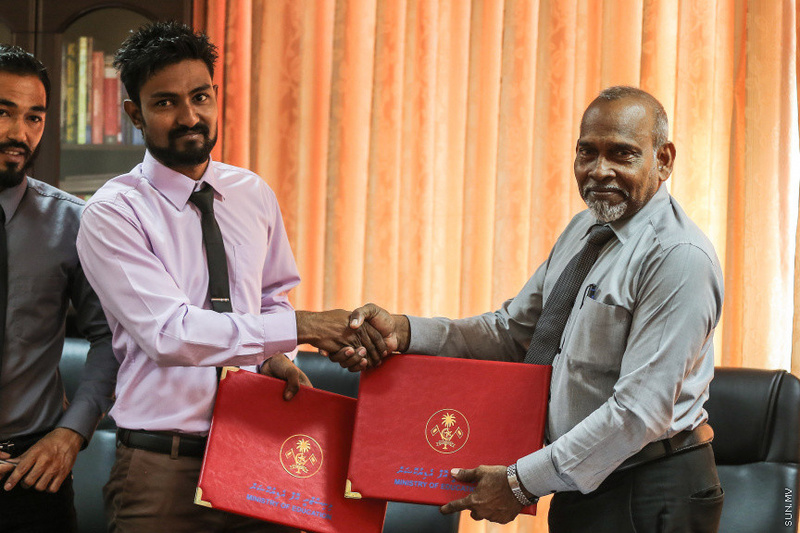 At a ceremony held at the Education Ministry today, the agreement was signed by the Senior Policy Executive at the Education Ministry, Ibrahim Ismail, and the Managing Director of Waterpark Maldives, the contractor, Ahmed Afrah. Talking to the press after the signing, Ibrahim Ismail, said that the new facilities at the school would make things a lot easier to the school. He said that the current government has been doing a lot to provide resources to students and in the past four years, numerous resources have been provided to school halls and classrooms in the atolls. The Thuraakunu school development of AV room and science lab project is valued at MVR 1,550,499.33 and is contracted to be completed within 42 days. There are 9 students studying in Thuraakunu in nine classrooms.